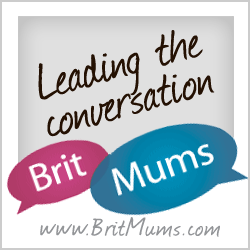 As a parenting blogger with three older children, I follow the lives of many new mums. I watch with part-jealousy, part-relief and remember the exhausting early days of motherhood. Looking back I ponder over the ridiculous amount of pressure and guilt we pile on ourselves. What stands out the most is how we let outside influences create barriers to our natural instincts. If I could give you ONE bit of advice – it would be to trust your natural instincts because they are brilliant and it is so much easier to go with your gut. We all have our own natural way of mothering our offspring and we need to understand that fundamentally they are all the same, they all work and they are all wonderful. So we must trust and commit to our own style and not be confused by what others do or did. We also need to recognise the good influences from the bad. As a pregnant Mum I did a lot of reading and listening and even though much of the content felt a bit alien to me I was convinced I was ready and armed. But as soon as my baby was born I felt I wasn’t the mum I had read about. My instincts were telling me differently, but I immediately fought it out of doubt and fear. There were rule books I had to follow. So although my desire to sleep with my baby, feed him all the time and never put him down felt right, I fought with my inner self, day after day, because it didn’t say that in the book I owned. It wasn’t how my friends were doing it. So instead of embracing it and believing in myself, I learned to lie to the health visitor about how often he fed, I lied to my friends about our sleeping arrangements in case they judged me, I pretended to my family that I had order and routine. My biggest enemy – niggling doubt – kept chipping away at my confidence. Add lack of sleep and it’s a lose-lose situation. What I know now is that if my instincts were telling me how to do this mothering thing. They were helping me find my own way. They were saying that order and routine wasn’t necessarily my way of doing things. Just because I had read about routine didn’t mean it was the RIGHT way to do it, just A way to do it. So I carried on sparring – niggling doubt versus my natural instincts, persisting with behaviours that felt completely alien. I would have a few desperate days when my baby and I were out of sorts, then I’d remind myself that it was ok to follow my instincts and a few calmer days usually followed. Repeat cycle…..
Of course, we need additional support and advice from the people and resources we trust. Social media is amazing for this and seeing others in the same predicament as ourselves is one of THE best forms of support. Natural instinct is not always enough in isolation and we all lose our way sometimes. Motherhood tests even the hardiest of us and babies are phenomenally unpredictable. If we have too many preconceived ideas about how this is going to go then it is likely to fail. But if you have a solid trust in your natural instinct then the rough journey of parenting will undoubtedly be a lot smoother. So give yourself some credit. I know I should have trusted my instincts completely. Motherly instincts are pretty amazing and usually spot on. As a nurse, I have seen this time and time again when it comes to babies and health. Books on babies are fantastic to refer to but it is important to remember that each mothering experience is very personal and every book is written by one mum and one set of views. The turning point for me was discovering a book that totally supported MY own personal mothering instinct. Not a book that was right or wrong but a book that was right for me and my instincts. The back-up I needed to believe in myself as a mum. and the green light to follow my instincts and keep my baby close without feeling like I was doing it wrong. It took away the nagging, niggling doubts and whenever I felt them creeping back in I would get ‘my book’ out and remind myself I was doing okay. If my baby was being a nightmare it was because he was a baby, not because I was doing it wrong. Being a mum is absolutely exhausting in so many ways. We have to deal with the pregnancy, the labour and then the years of sleep loss, doubt, noise, mess, blah, blah infinity, so if you have a small baby or you plan to, then please, please trust me when I say….follow your natural instincts. Take trusted advice too, but follow your instincts. They are the reason humans have survived and flourished. Don’t fight with yourself – you will have plenty of other things to fight over and for, so don’t add to the pile! Be the mum you naturally are. NextWhat Do You Buy a Stationery addict?